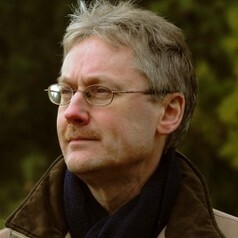 Mike Hulme is professor of climate and culture in the Department of Geography at King’s College London. His work explores the idea of climate change using historical, cultural and scientific analyses, seeking to illuminate the numerous ways in which climate change is deployed in public and political discourse. His latest book - Weathered: Cultures of Climate (Sage) – is published in November 2016. He is also the author of Can Science Fix Climate Change? The Case Against Climate Engineering (Polity) and Why We Disagree About Climate Change (Cambridge). From 2000 to 2007 he was the Founding Director of the Tyndall Centre for Climate Change Research, based at the University of East Anglia, and since 2007 has been the founding Editor-in-Chief of the review journal Wiley Interdisciplinary Reviews (WIREs) Climate Change.